MainAll NewsJewish WorldCan Diaspora Jews connect to Israel without making Aliyah? Can Diaspora Jews connect to Israel without making Aliyah? Torah MiTzion emissaries prepare for year-long 'shlichut' abroad, teaching Judaism and building bridges between Israeli and Diaspora Jews. 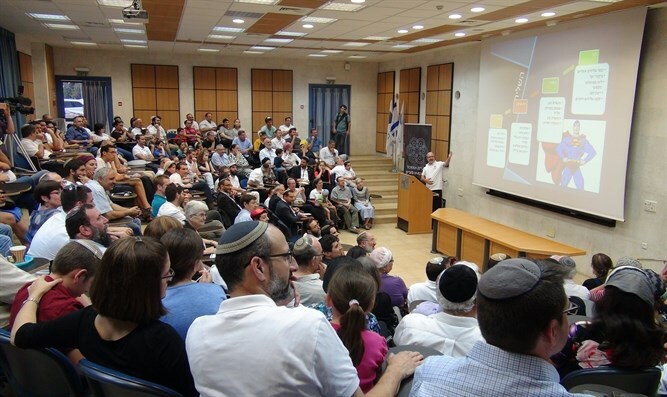 The Torah MiTzion held its 19th annual convention, held in honor of this year’s emissaries departing for a year of “shlichut” abroad, teaching Diaspora Jews about Judaism and the Land of Israel. Torah MiTzion, which has maintained a global “kollel” network for Jewish studies since 1995, has for the past 19 years trained emissaries to teach young Jews in the Diaspora about their heritage, their faith, and to cultivate a passion for the Land of Israel. "It's an unbelievable experience that we are sending now so many Shilchim [emissaries] all over the world,” said Rabbi Yitzchak Neria, Chairman of Torah MiTzion. “We are bringing Torat Eretz Yisrael to you there in Hutz Laaretz. It's an unbelievable action... that shows that we here in Eretz Yisrael care, we love, we don't give up. We're looking for our brothers." Roughly 1,000 Torah MiTzion emissaries have taken part in the program, which draws participants from Hesder Yeshivas and religious pre-army training programs. While the emissary program seeks to create links between Diaspora Jews and Israel, the ultimate hope, says Rabbi Neria, is to inspire young Jews to make Aliyah [immigrate to Israel]. "It's not easy to make Aliyah. But as long as our brothers are there, we should bring them Torat Eretz Yisrael [Torah of the Land of Israel]. We should be with them; learning with them, teaching with them, celebrating with them because they are part of our life - they are part of our nation. We don't give up any Jew. We don't give up any brother."